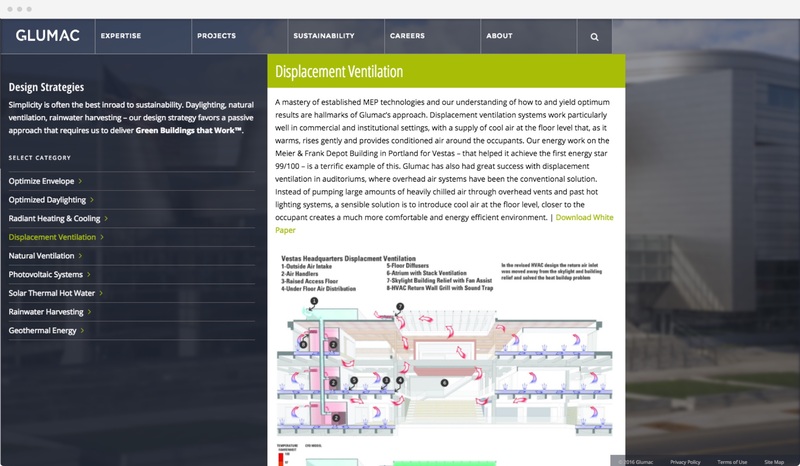 Glumac has been engineering sustainable buildings across the continent for nearly half a century. 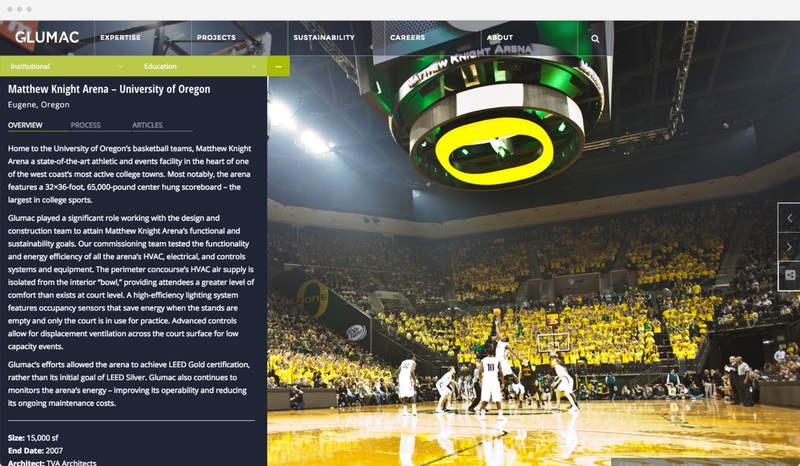 When it came time to redesign their digital presence they needed a creative partner who would put an equal emphasis on the inner workings and exterior aesthetic of their website. They need someone who would take the same considered approach they do in all of their green building projects. 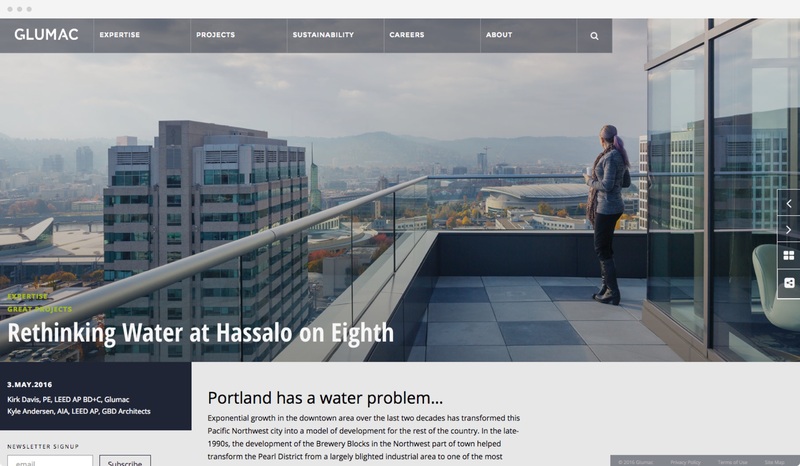 Harlo Interactive approached Glumac’s site from the foundation up. We conducted executive interviews and a company-wide survey to ensure every voice was heard as we kicked off our design and content strategy process. We then set out to design and develop Glumac.com to echo the best physical properties out there. The new site is easy to maintain because it was built in WordPress, easy to navigate due to dual navigation options, and beautiful from any angle thanks to responsive landscape design. 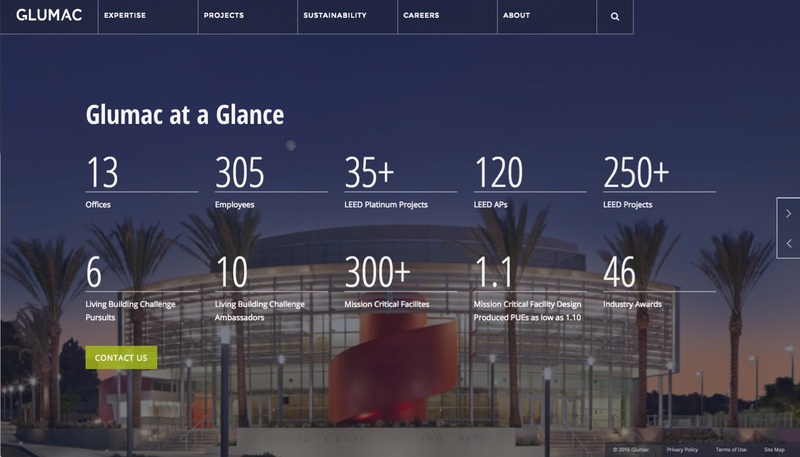 We conducted executive interviews and a company-wide survey to ensure all voices were heard as we kicked off our design and content strategy process, and then we set out to design and develop the new Glumac.com to echo the best physical properties out there. Now, it's easy to maintain because it was built in WordPress, it's easy to navigate due to its dual navigation options, and it's beautiful from any angle thanks to its responsive landscape design. 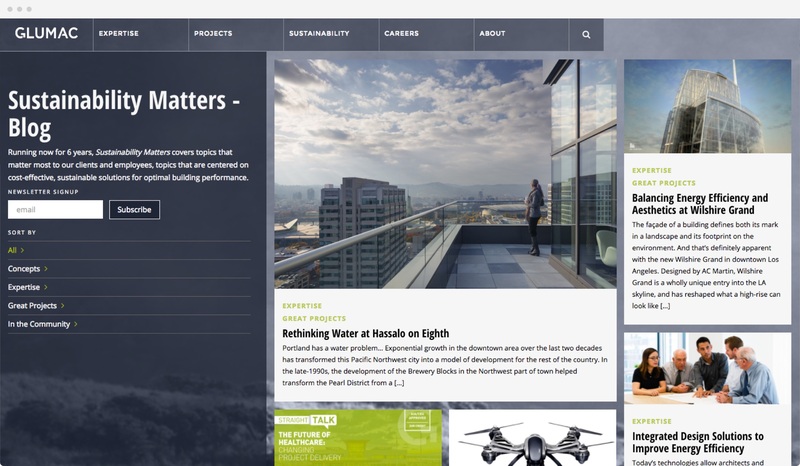 In staying with the brand's core values we launched the new site on Earth Day 2016. 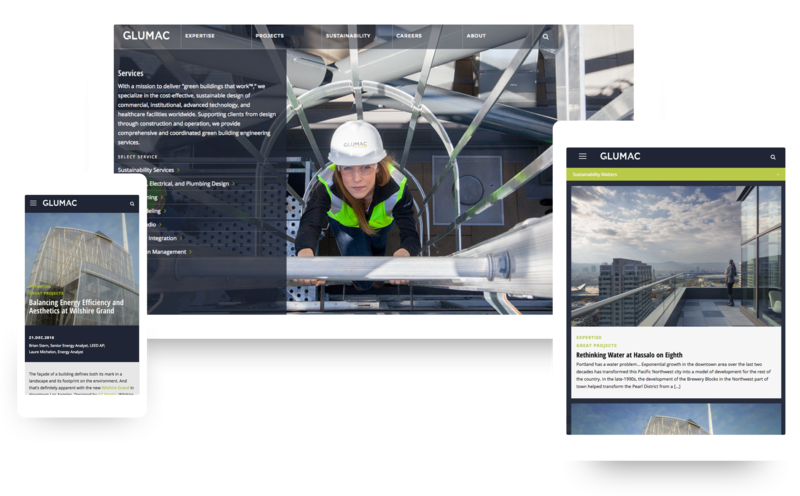 Within a week of its launch the new Glumac.com began to drive the company's very first website business leads, and within a quarter they saw a 150% jump in the average user's time spent on site.